Apra : Blogs : Don't Forget: Chapters Share the Knowledge Starts Next Week! Don't Forget: Chapters Share the Knowledge Starts Next Week! 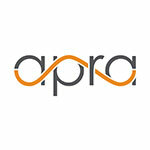 Join us February 4-15 for free, online prospect development education hosted by Apra members from across the world. Over the course of 10 days, Apra will host select chapters for complimentary learning and networking activities for prospect development professionals in formats that range from Twitter Chats to interactive webinars. Topics for this year's event range from growing your professional network and using H1B data to determine salaries to turning prospect research mistakes into lessons. Check out the schedule here, register for your favorite webinars, and let the learning begin!